A time to look back on 2011. It's that time of the year again when we look back upon what was. I'd like to take a few moments and reflect on some of the geekier high lights of things I was involved with, and with that in mind head on towards 2012. To kick off the year the Department of Computer Science at Memorial University of Newfoundland celebrated its 32 years. Staff, students, and friends all gathered at the campus bar Bitters for a scoff, share a few yarns, and single malt scotch. Good times were had by all. This was a long time in the making, my thesis was published in Springer Communications in Computer and Information Science under the publication for "Biomedical Engineering Systems and Technologies, Third International Joint Conference, BIOSTEC 2010, Valencia, Spain, January 20-23, 2010, Revised Selected Papers". Since then several students at my alma mater have continued on the project, adding new features, exploring aspects of the design. 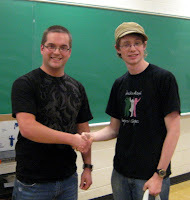 Each winter semester at the Department of Computer Science of Memorial University of Newfoundland we hold a pair of programming competitions following ACM rules. One competition sets individual programmers on three algorithm challenges, with the top three scoring competitors being awarded a small prize. The second competition is for groups of two competitors, again with three algorithm challenges with corresponding prizes. I really enjoyed this series of games as we had a record number of competitors register for the competitions, and some really great prizes to hand out to the students. About midway through the year the Security B-Sides conference St John's NL event was held. This event brought together near 140 security experts, industry professionals and others in their community to directly connect, share ideas, insights, and develop long lasting relationships while discussing some of the major IT security related topics pressing in today's environments. Each fall semester at the Department of Computer Science of Memorial University of Newfoundland we hold a pair of programming competitions following ACM rules. One competition is for groups of three competitors, in which the teams must solve three algorithm challenges. The highest scoring team moves on to the next round of the larger ACM games. The second competition sets individual programmers on three algorithm challenges, again with the top three scoring competitors being awarded a small prize. The fall games had record attendance, straining our ability to handle so much interest from students. I really hope the trend continues into 2012. As my blog's tittle suggests, I'm developing Open Source development here in Newfoundland. There really isn't a very large software development community around here, so if you want to talk about technologies, methodologies, and related practices you have to actively seek out others to share your interests. Luckily I have another active Apache Developer in town, but it's nice to expand the community. To that end I've taken on another local developer and have started to help them become aquatinted with the Apache Way, starting with a focus on Apache Incubator Kalumet. 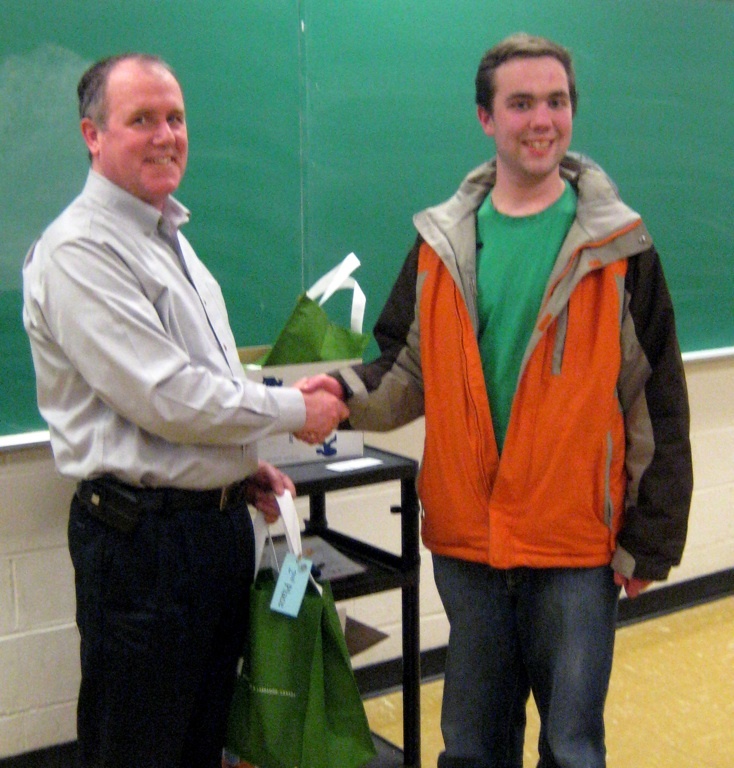 The International Game Developer Association Newfoundland Chapter started up in ernest this past fall. I've been trying to help this group gain traction by getting the word out about their meetings and helping to bring attention to the accomplishments of some of their members. Earlier in the year I managed to arrange a few moments to talk with Celsius Studios and Binary Dawn about their experiences here in Newfoundland, these conversations can be viewed at Techvibes: Binary Dawn on WordUs2, and Celsius Studios on Red Nova. 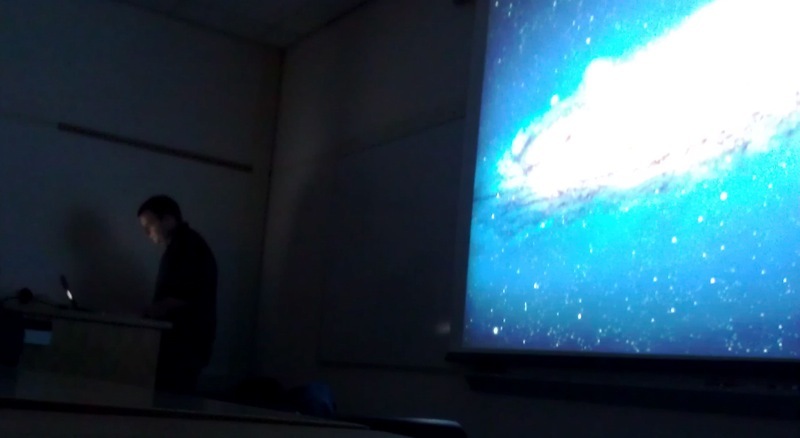 I had two opportunities in 2011 to provide talks to CS 3716 Software Methodologies classes at Memorial University. Both experiences were fun, I focussed on various subjects including a brief introduction to the Apache Way, the projects I've worked on, my views on technology (locally grown and in general), and project management (specifically talking about Apache Karaf). So what do I see for 2012? Releases of Apache Karaf's new sub projects. Apache Karaf 2.2.x and 3.0.x patch releases should come out on a regular basis. New Apache Karaf 2.3.x and 3.1.x branches may make their appearances. 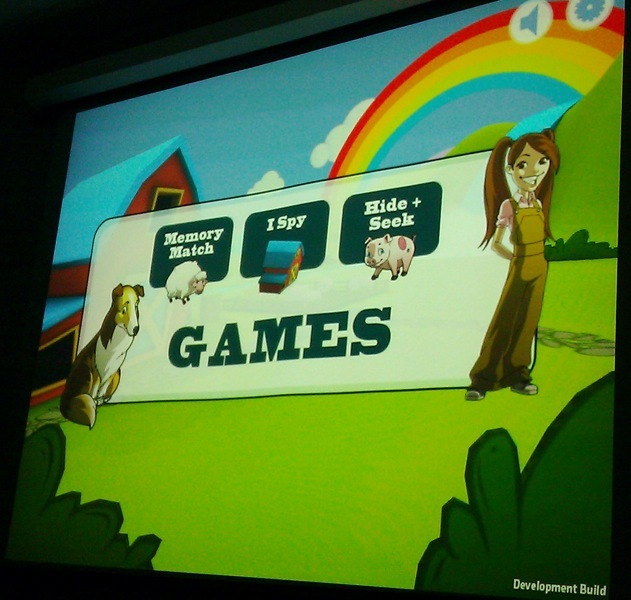 Continued CS Games in the Winter and Fall 2012 semesters. Growth of the IGDA-NL Chapter (more meetings and events). More speaking opportunities at Mun CS Department via their Departmental Seminars and Guest Lecturing. Before I end this rambling post, I'd like to share the below video for Bandages by Hey Rosetta! It's my favorite song by local talent for 2011, and its' video features many beautiful scenes of Newfoundland. 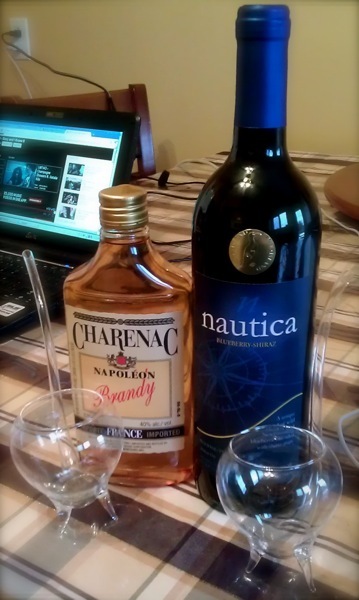 While enjoying the music I'm opening a bottle of Auk Island Winery's Nautica (Blueberry Shiraz). The Apache Karaf team is pleased to announce the availability of Apache Karaf 2.2.5. As discussed in my prior Apache Karaf 2.2.5 preparation post, I enjoyed listening to City and Colour albums throughout the release process and was delighted to try the Maison Sichel Bordeaux 2009 once the release was complete. In recent years, real-time strategy (RTS) games have gained interest in the AI research community for their multitude of challenging subproblems – such as collaborative pathfinding, effective resource allocation and unit targeting, to name a few. In this paper we consider the build order problem in RTS games in which we need to find concurrent action sequences that, constrained by unit dependencies and resource availability, create a certain number of units and structures in the shortest possible time span. We present abstractions and heuristics that speed up the search for approximative solutions considerably in the game of StarCraft, and show the efficacy of our method by comparing its real-time performance with that of professional StarCraft players. A relatively new feature to Apache Karaf 2.2.x is the Karaf Archive (Kar). Its purpose is to help make packaging and deploying Karaf features an easier process. 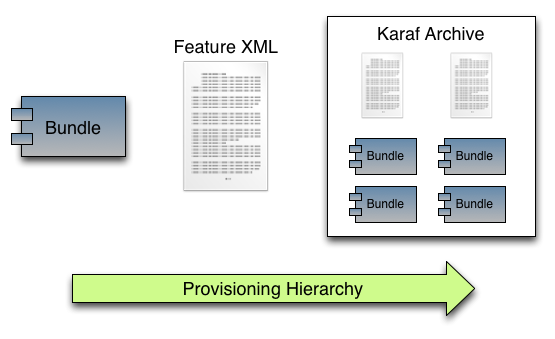 A Kar accomplishes this aim by packaging all of a features' bundles and dependencies inside of archive file, which when copied into Karaf's deploy folder will be extracted into a local repo, and any included features files are then automatically registered with the runtime. A feature's bundles, and dependencies can be thought as one artifact to act upon. Sounds good, so what are the benefits? This is a large improvement over having to individually copy jars into the local system repo then reference them via a separate features xml file (generally calling features:addUrl). Production environments benefit as an application deployed as a Kar should not require Maven based resolution at runtime since all its dependencies are already provided. Further more, components built as Kars can be easily referenced as Maven dependencies when building larger solutions (just add Kars as dependencies). We've documented using Karaf Archives in the users guide, and will as of version 2.2.5 include a simple demo. Let's look a little closer at building the Kar demo. There are two essential components to the Kar demo; the pom file which calls the features-maven-plugin (karaf-maven-plugin on Karaf 3.x), and the features xml file describing the content of the Kar to be generated. In Apache Karaf version 2.2.x the features-maven-plugin is used to generate Kars via the create-kar goal. When executed it will read all features specified in the features descriptor, then for each feature it'll resolve the bundles defined in the feature, then all bundles are packaged into the Kar archive. A features descriptor is a simple xml file that contains the feature's name, version, and list of bundles it depends upon. In this sample the Servicemix commons-collections bundle version 3.2.1_1 is specified. To build the Kar file all that is required is to execute mvn install. The plugin will create the Kar file in the target build directory. To deploy the KAR the user need only copy the resultant KAR file to the KARAF_HOME/deploy folder. Please note that the Kar deployer is a core part of Karaf, so no additional features need to be installed to use Kars. 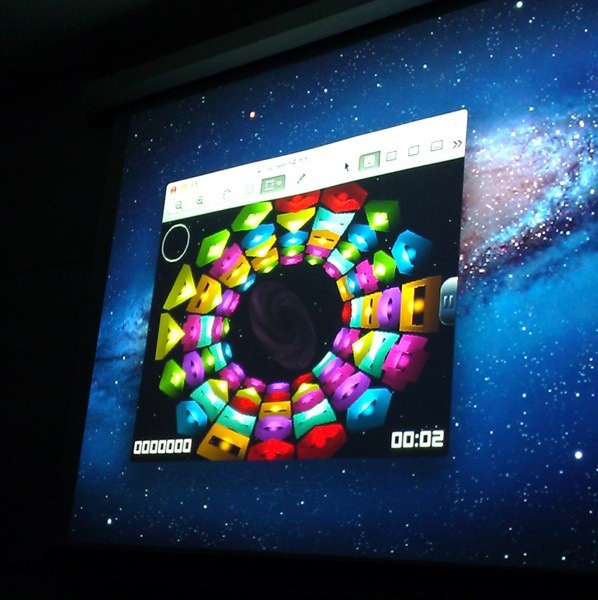 The Newfoundland chapter of the International Game Developer Association held a demo night on November 29, 2011, with approximately two dozen attendees packing the Computer Science seminar room at Memorial University, listening to three local video game studios show their latest efforts. Roddie Kieley, of Binary Dawn, discussed the evolution of his company's games. 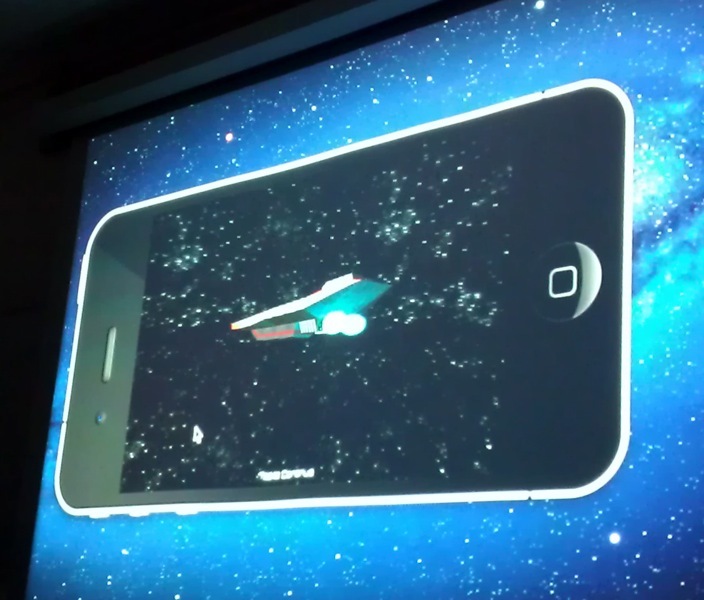 They've touched on several genres including space shooters, word games, a drinking entertainment game - all on iOS devices. Their next tittle however would be a break away from that platform. 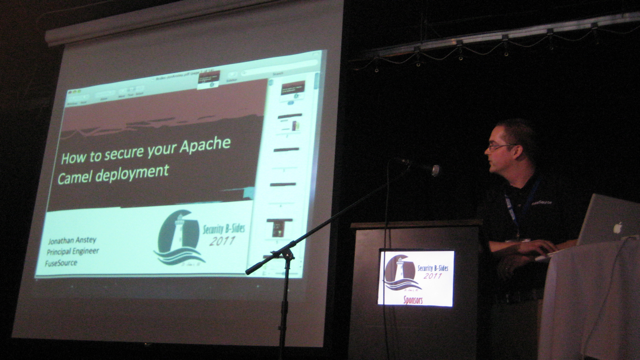 Although early in development, Roddie outlined some of the technology going in to their next game, of particular interest to myself was the use of Apache Maven to build a Flash based application. Unfortunately no playable demo was available to be shown. Concluding his presentation Roddie answered several questions from the audience spanning his experiences with various tool chains, frameworks, and game platforms. Colin Walsh, of Celsius Game Studios, took the audience on a tour of his game studios' first two tittles, then provided an early developer build demonstration of his up coming game Drifter. 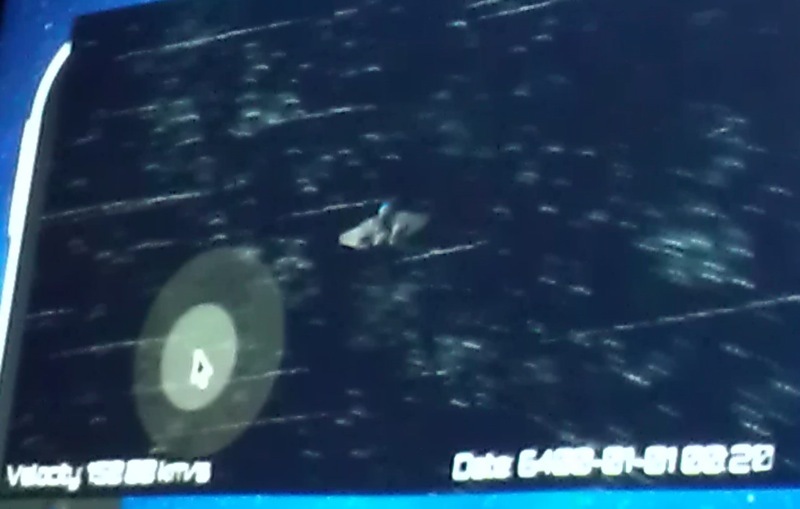 The procedurally generated galaxy that Celsius is building into Drifter (10,000 star systems) was very impressive to see! I fully expect to hear great things about this game when it hits the market (see demo video below). 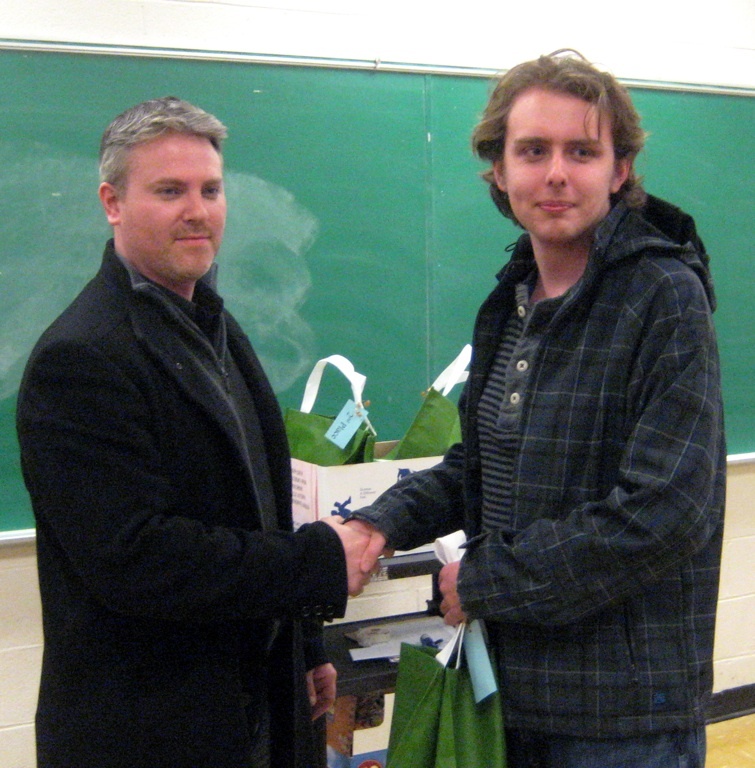 Following Celsius Game Studios was Best Boy Media Inc, represented by Dylan Fries. 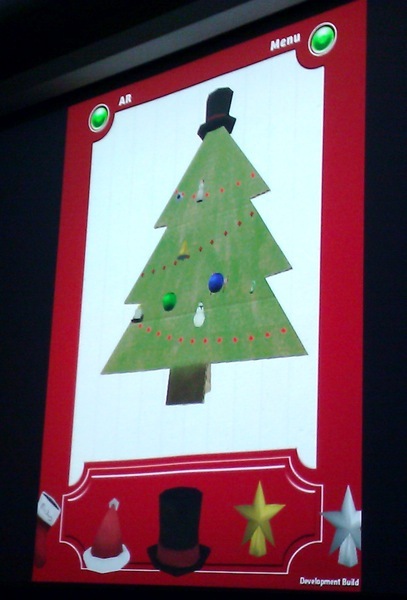 Two game demos were presented, one for Mickey's Farm (a preschool child oriented game), and an augmented reality Christmas tree decorating game Yule Tree. Despite their younger target audience these games represented some of the challenges developers encounter when producing games for younger users. Color pallets, user interface design, and the technical issues of being able to provide large lively environments with in the platform resource budgets available all presented unique challenge. As well, designing an Augmented Reality App for a general audience who often have never seen AR before highlighted the importance of iterative testing and user feedback. 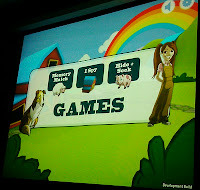 Mickeys Farm is playable online at http://mickeysfarm.ca/ and Yule Tree is available for iOS in the iTunes app store now! 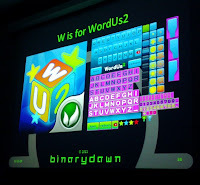 After all of the presentations the group started discussing the local video game industry in general, touching on topics from where to find classes on animation, graphics engines, and development, to the kind of software packages / tools the presenting companies used to make their games. 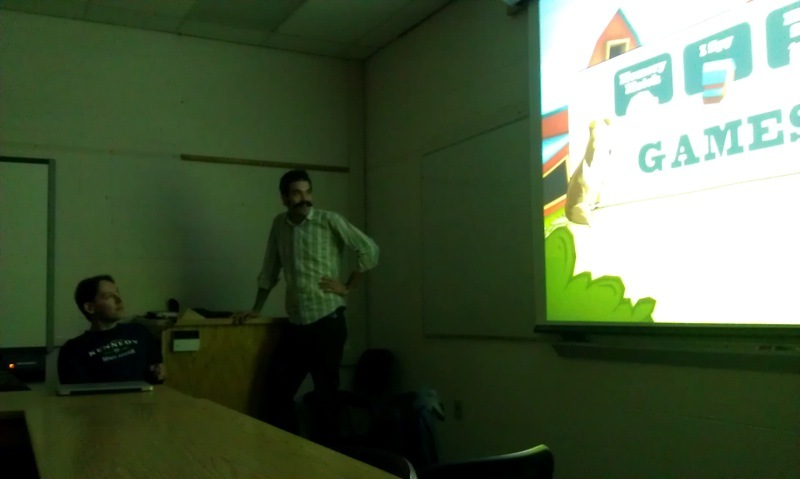 I think this was a very successful meeting for the IGDA Newfoundland chapter. It was a treat to see the kind of video game development talent / industry we're growing here. 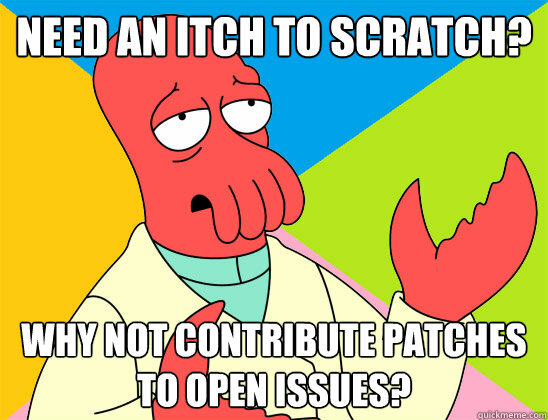 Looking for an itch to scratch? How about contributing to Apache Karaf? Winter has arrived here on the Avalon peninsula of Newfoundland. I thought I'd share a few photos. Looking down the road. Snow blowers are a live saver. My cat has the right idea. One of my favorite shots of the day can be seen here: Metro bus catching tow from a passing by snow plow. Another seminar upcoming for the Department of Computer Science at Memorial University of Newfoundland. This one is being present by a good friend of mine Dr Todd Wareham (he's one of the core people behind the local CS Games held several times each semester at Memorial). The problem of adapting an existing reactive architecture to meet new task constraints has applications in a wide variety of fields, including cognitive robotics, evolutionary robotics, and cognitive neuroscience. Such adaptation can range from simple reconfiguration of existing layers and the linkages between them to the the recruitment of new layers (either on hand or custom-designed). Though there are a number of proof-of-concept systems implementing such adaptation, it is not obvious if any algorithm can perform efficient adaptation in general or, if not, under which conditions (if any) such efficient adaptation might be possible. In this talk, we present the initial results of a computational complexity analysis of reactive adaptation carried out to answer these two questions. Our main result is that even for a rather simple world and a simple task, adapting a subsumption reactive architecture to perform that task in a given world is NP-hard. Additional parameterized results in turn delimit those conditions under which efficient adaptation is possible, e.g., we show that architectures with limited sensory and perceptual abilities are efficiently adaptable. The fifth maintenance release of the Apache Karaf 2.2.x branch has entered the planning phase, as such I'm preparing for the release management role. To prepare I've selected a bottle of Maison Sichel Bordeaux 2009 to decant while listening to some City and Colour albums. 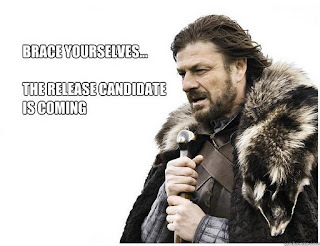 As it has been a common thread on my last few 'preparing for Apache Karaf' posts, the 3.0.0 release is still underway in preparation - the community is committed to seeing Karaf 3.0 being feature complete and polished before it is raised to production status. Current high lights of this patch include multiple JAAS support improvements, and better support for Linux systems with certain versions of libc. This kit will also include new features such as SCP support, and a demo for extending Karaf's console commands. Unfortunately I can't share the wine with you, but I can share a few links to some City and Colour videos. I'm looking forward to starting the 2.2.5 release process. I'll be posting updates to our Twitter stream (#karaf) and on our IRC channel (irc.codehaus.org #karaf). Departmental Seminar @ Memorial University: Towards Engineering Processes for Web Service Repositories. Thought I'd post below the announcement for the upcoming Departmental Seminar at Memorial University entitled "Towards Engineering Processes for Web Service Repositories". Sounds like an interesting talk for anyone working with SOA technologies. Service-oriented Software Engineering embraces the construction of software systems from available modules that can be acquired from service providers and assembled into a complete system. Web services are particularly suitable to this approach. The process of crafting successful web service repositories is complex and needs to be addressed with a rigor reminiscent of software engineering processes. We are working on creation of a comprehensive process framework that provides a set of practices and tools for web service repository design, configuration, testing, implementation and management. We begin with practical case studies, which investigate and highlight promising problem domains that are suitable for (primarily commercial) repository development. Next, we design and implement prototype web service repositories for the most encouraging cases. The prototype repositories shall afford simple configuration, powerful query answering system and the support for diverse business models. Subsequently we summarize, discuss and evaluate the processes we used in our prototype repository design/implementations as well as approaches used by others. Micro-Hackathons. This is what happens when two or more committers are in the same space. From time to time I like to post photos of what we're having for lunch when Jon and I have a little Micro-Hackathon. Today's menu consisted of Curried Pork, Lentils, Chickpeas, Basmati Rice, and Pappadums.